Catch up on all the last news from the Wellways team. Caitlin Pratt is known to people in Wagga Wagga as a Wellways peer recovery worker, but she also has a talent for producing splendid cakes. 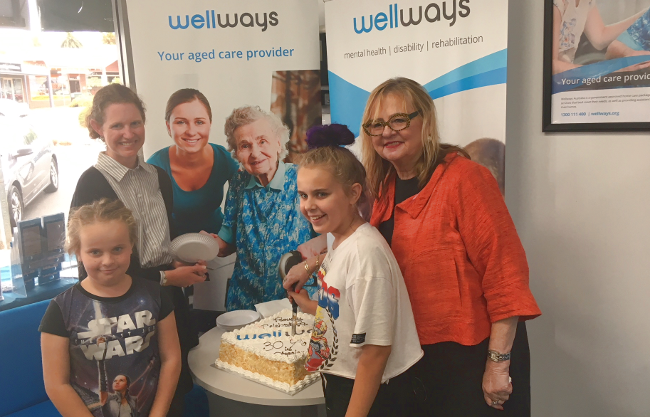 Her colourful cake was the centrepiece of a recent Wellways launch, with the Murrumbidgee Primary Health Network, of a new suicide prevention program, the Way Back Support Service. Caitlin, who is also a qualified pharmacist, uses her special alchemy skills to make “cakes on the side” as she terms it. 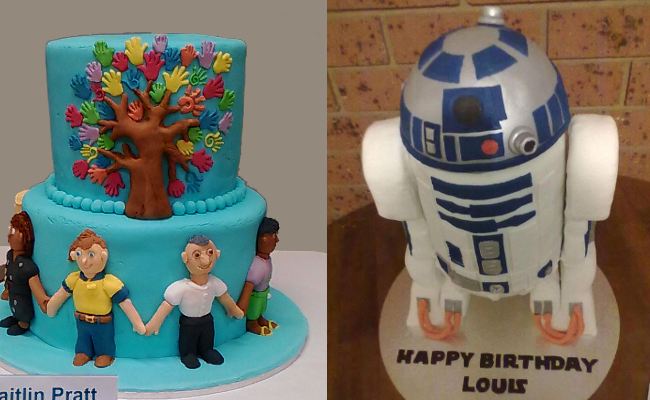 She’s made cakes of R2D2 of Star Wars fame, a wombat and many more. Not only do they look great, we understand they’re delicious too. Wellways has set itself some challenging ambitions for the next five years in its blueprint for the future, the Strategic Plan. “Wellways has an important role to play in shaping the future of mental health, disability and aged care services in the community. Our focus is on working with individuals, families and the community to transform lives. This puts us at the centre of building inclusive communities,” she said. “We are committed to building our advocacy membership and a strong network of lived experience leaders who can work at both grassroots and systemic levels to support our strategy and deliver community change,” Ms Crowther said. For the next five years Wellways will focus on building the systems and processes to ensure continued growth, while also delivering leading-edge programs and services to participants. Murrumbidgee Suicide Prevention Program Support Coordinator, Dean Bayliss along with other Wellways staff, will host a “Chill Out” tent at this year’s “Rewind in the Vines” concert in Griffith on Easter Sunday, 1 April. This will give people a space to step away from the noise and crowds and chill out, compliments of Wellways. Anyone who drops in can help colour in the giant mandala, veg out in bean bags, flick through magazines and chat to staff about the local programs that can support them when they may be feeling the need to talk. As part of the Wellways Community Connections Program in the Illawarra, New South Wales, Wellways staff have been joining in the Wollongong Homeless Hub’s breakfast program. The Hub operates a drop-in service for people who are sleeping rough, living in temporary accommodation or whose tenancy is at risk. While the breakfast served is delicious and reason enough to attend the Hub, the main aim for Wellways staff is to connect and support people. 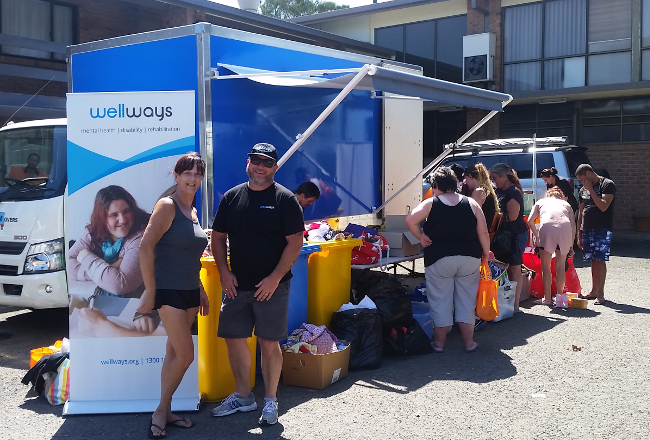 After this initial collaboration, Wellways workers are now spending more time on the road with the Homeless Hub Community Movers Truck. The idea is to take Wellways services to people who may not make it to the Wollongong CBD. There was more cake to celebrate the opening of a new Wellways office in Smith St, Warragul. Wellways has been working with the Gippsland community for 30 years and now we’re in town providing services all under one roof from a smart shop-front. It’s a ‘one stop shop’ where people can get access to a whole range of programs including mental health recovery, suicide prevention; accessing housing, education and support for carers, National Disability Insurance Scheme services and community care. For the past 30 years Wellways Australia has been delivering a range of support services in Gippsland targeted at individuals, families and communities. “While others are pulling out of the region, we’re committed to the people of Gippsland. Opening this shop-front should remind everyone that we are here to stay,” Wellways CEO Elizabeth Crowther said. A Wellways team headed to the Leading Age Services Australia (LASA) Queensland State Conference, 14-16 March on the Gold Coast. Director Bernard McNair along with Nicole Bruce and Julie O’Flaherty from business development attended. Wellways is a LASA member and was an exhibitor at the trade show. The conference was a forum for industry leaders, managers and practitioners to gather and discuss the future of an industry undergoing significant change. Wellways participants have raised their voices in song with the all-abilities Find Your Voice Choir at the Port Fairy Folk Festival. 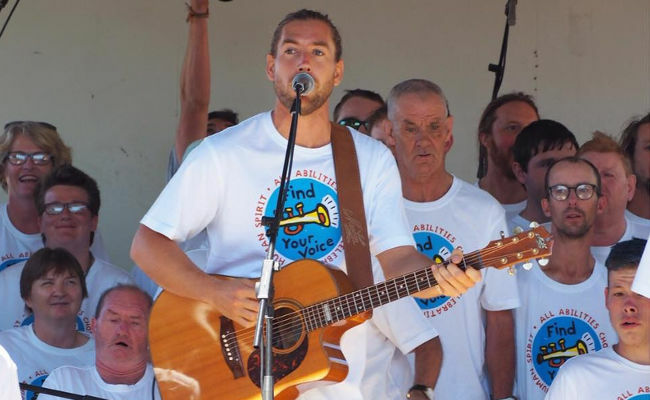 Organised by Warrnambool musician Tom Richardson, the choir performed several times at the recent Port Fairy Folk Festival in Victoria. “Each performance drew a standing ovation from the crowd,” Wellways Community Support Service Coordinator Carolyn Morton said. “This would have to be the most amazing event that I personally and professionally been involved with. It was a pleasure to see the performances grow in confidence and the friendships that have developed,” Ms Morton said. Due to the choir’s success, there are plans to perform throughout the year.